Jesse Summers is a Florida based landscape photographer who specializes the newly developing niche of night landscape astrophotography. 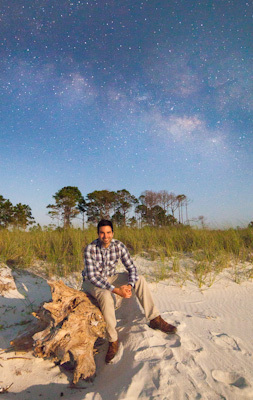 Composing scenes at twilight on nights where the conditions perfectly align, Jesse is able to incorporate the stunning center of the Milky Way galaxy into his landscape photos through the use of creative long exposure imagery. These photos are among the most difficult but also most rewarding landscape photos to capture because working at night is essential. With representation in hundreds of blogs and online photography sources, Jesse’s work has been shared extensively across the globe. Jesse’s photo “Night Sailing,” a long exposure of a grounded sailboat against the lower band of the Milky Way, was shared ubiquitously online by groups including National Geographic and One World One Ocean in early 2013. This is not the only one of Jesse’s photos to receive critical acclaim. “Stars over the Honeymoon Suite,” taken in Cedar Key, Florida in late 2012, was awarded the Grand Prize in the Florida Travel Magazine’s annual juried contest. 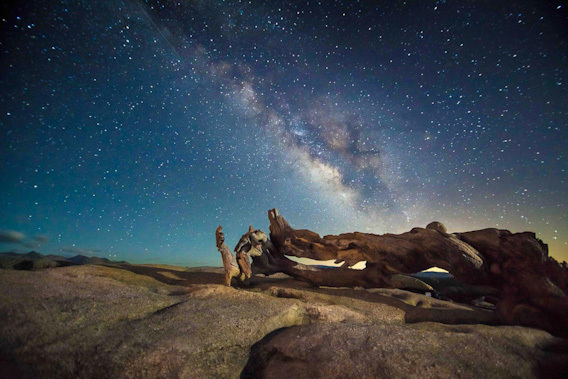 As of 2014, Jesse’s night photography has been published in hundreds of print and web sources including National Geographic’s 2015 calendars and “Stunning Photography” compilation. With a keen eye for composition and technical expertise in planning, taking, and post-processing landscape photos; a workshop with Jesse Summers will help you attain your photographic goals and leave you well prepared for your future captures.